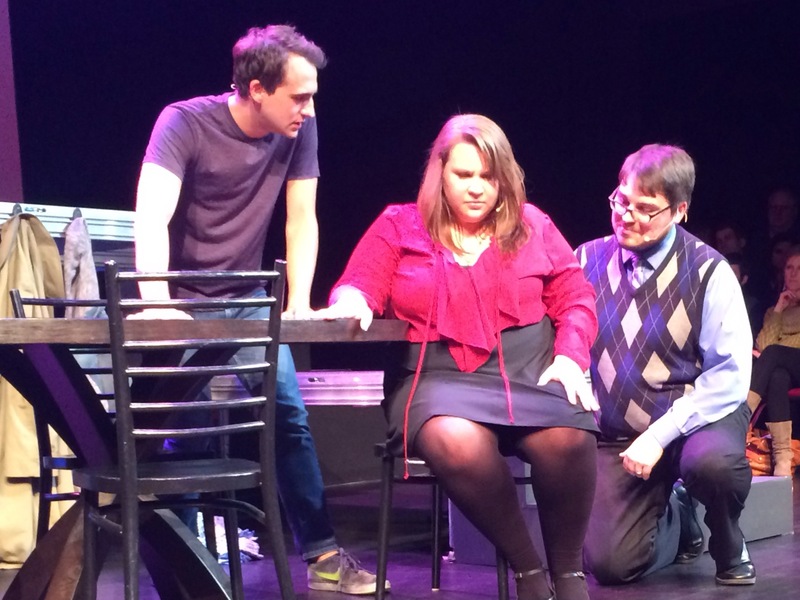 Remy Sisk, Sydney Magers, & Wesley Thomas in Next To Normal. Entire contents copyright © 2015 by Keith Waits. All rights reserved. 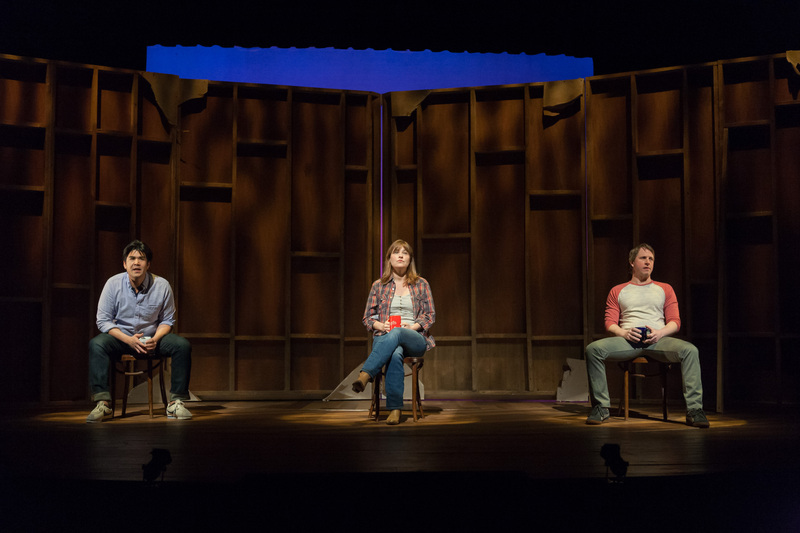 Next To Normal is a musical about a family struggling with depression. It’s a subject far from the sunny nostalgia and romance that are the territory of the classic examples of the form, but musical theatre has survived, nee thrived on absorbing modern-day problems into its family of themes. It is also a musical with only a spare number of dialogue scenes, the narrative being communicated through the score, a fluid, highly confessional affair that is fairly efficient while being nearly operatic in its construction. The character’s words are so specific and focused in their intention but are still expressive of Diana’s experience. Intriguingly, the music serves as a metaphor, I think, for the state of her bi-polar mind, and the powerful metaphorical expression serves to illuminate depression better than dreary, academic, exposition. 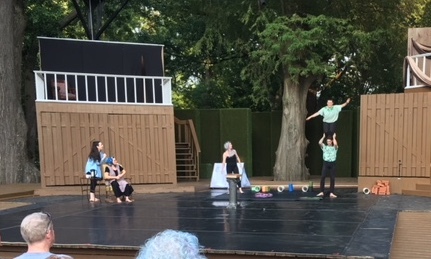 The run-on nature of the score does lead to some tediousness in the second act, and even Whitten Montgomery’s clean but lively staging does not remedy this. Nor does the expertly arranged pre-recorded score produced by Nick Stevens and Chris Greenwell. It is laudable that the show attempts to be so thorough in charting the instability and tragic development of Diane’s depression, but accumulated weight of narrative weighs the story down some. The level of performance is pretty good, with generally strong vocals and emotional resonance. As Diana and her husband Dan, Sydney Magers and Wesley Thomas boast powerful voices and manage to effectively capture the struggle within a marriage. 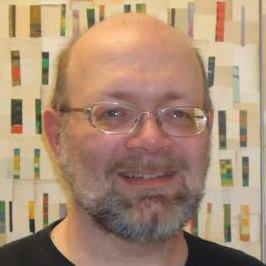 When we witness the defeat of Dan’s unending patience and tender support, it is heartbreaking. Kelsey Cox as daughter Natalie and Miller Kraps as her boyfriend Henry grapple with some of those difficulties in their relationship. Blake Cox is very fine as Diana’s doctor. Remy Sisk is Gabe, Diana and Dan’s deceased son who literally haunts her. The character functions both as an indication of the character of certain mental illnesses and as potent reminder of the pain the characters share from their past. Mr. Sisk’s voice at times fell a bit short of the demands of the score, but his supple and passionate delivery is key to the visceral emotional wallop of the show’s final moments. Reviewing a company like Acting Against Cancer presents a challenge in that the founding members are so earnest in their dedication to their cause that one might seem churlish in criticizing their work. Yet they are also asking to be taken seriously in their artistic mission as well, to stand in the company of other top theatre companies in town. With Next To Normal, they fully realize that ambition. If you have a taste for serious-minded entertainment, this is a show for you. Theatre Review: Pandora Productions "The New Century"